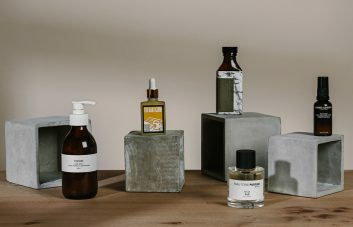 Counter Culture presents Me, Myself and I for May 2018. 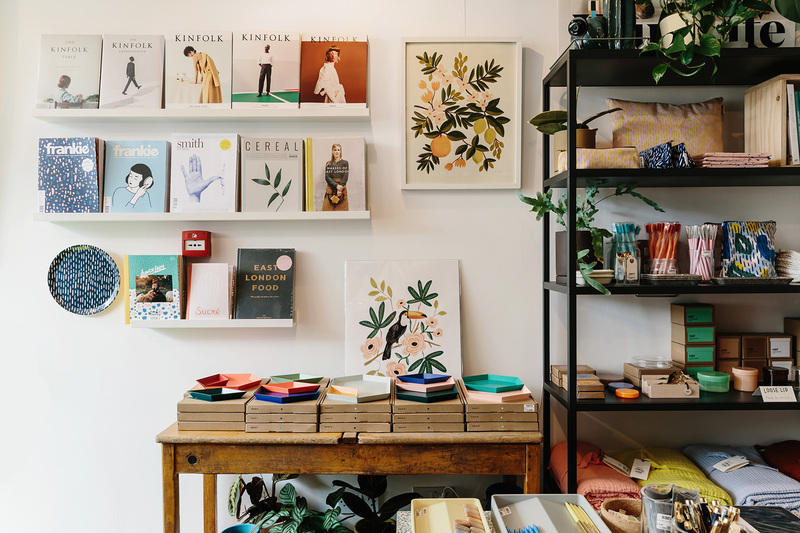 We’re stepping behind the counters of our independent boutiques to bring you stories and inspiration around this month’s theme which explores the world of wellness. 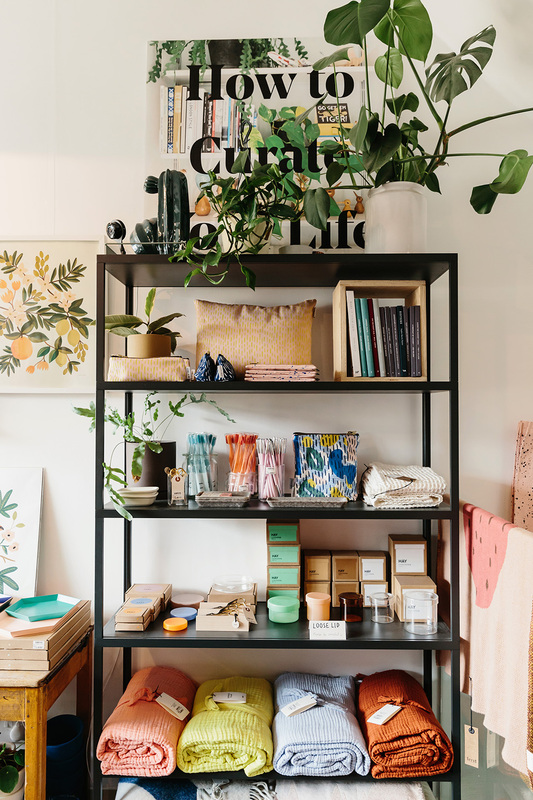 The ultimate creative entrepreneur, Lizzie Evans designs, writes, runs her shop SMUG and hosts her very own podcast; How to Curate Your Life. If that wasn’t enough, to add to this list of accomplishments she recently became a new mum to baby Constantin. 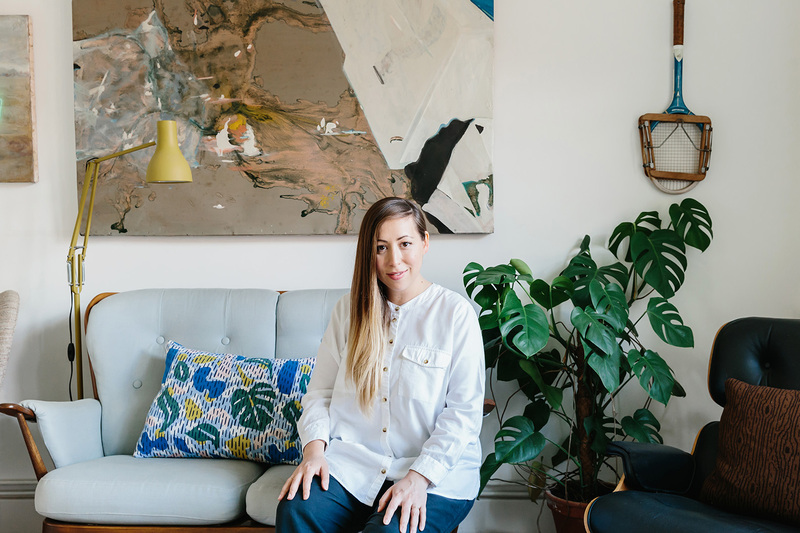 Our Creative Director Lucy caught up with her at home in Stoke Newington to find out more about her ‘curate your life’ approach. Lizzie at her home in Stoke Newington. It means emptying your mind, recharging and having space to think. Despite running my own business, I’m good at winding down and I often have my best ideas during this time. 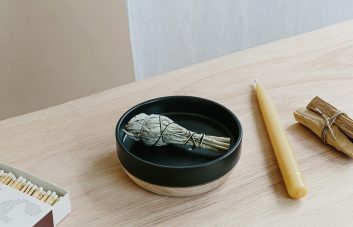 Sitting on my sofa can be my ‘me time’ but guided meditation using an app or practising yoga forces me to put down my laptop and clear my head when I’m struggling to disconnect from work. Getting some fresh air, cooking or going out to eat are all things I do for me. When it comes to meals, there really is no need for it, but brunch is definitely my favourite. Away from my everyday life, ‘me time’ would be spending time in the south of France with my family or heading to the Kent coast, another favourite destination. Closer to home Clissold Park is a place I go when I need space to think – it’s right on my doorstep so a bit like an extended garden. 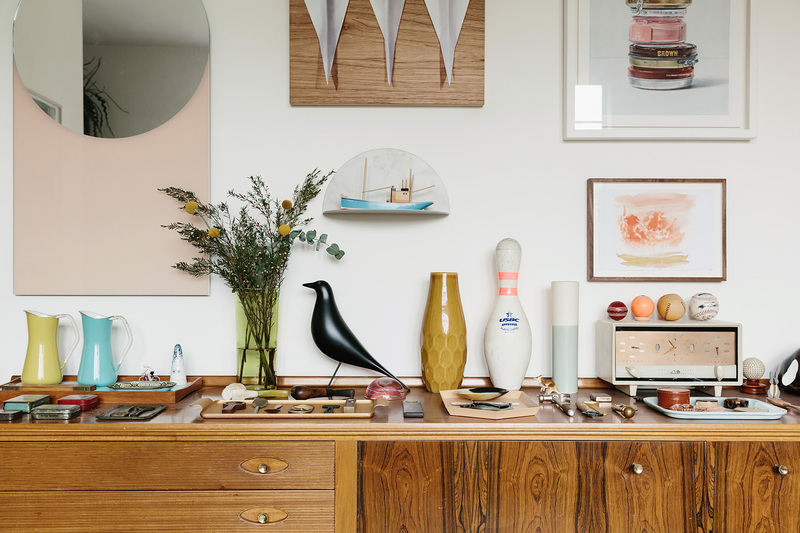 Details from inside Lizzie’s North London home. Are you a believer in routine? I’m a real structure lover and I like keeping to a routine. It’s obviously changed quite a bit since I had my baby a couple of months ago but each morning I still make sure I honour my skincare routine, my daily prayer, preparing and eating breakfast and feeding the baby with my husband. Tell us more about the ‘Curate Your Life’ approach? It’s about being intentional with your day. Choosing to go for a walk, taking that lunch break, having a wardrobe you are happy with, whether that’s a capsule clothing collection or one full of shoes. I try to make even everyday activities enjoyable by intentionally taking longer doing them, like preparing my breakfast and making sure I treat myself to avocado on toast. Ultimately, it’s all decided and fits with knowing who you are and what you need. Curating is the crux of everything I do and not just in a visual sense of the word, it’s just how my brain works. In relation to life, it’s about choosing how your day flows so that your work, and other elements that are important to you, can be prioritised and nourished. Lizzie’s curated collection of ornaments in her living space. How important is finding a work/life balance? 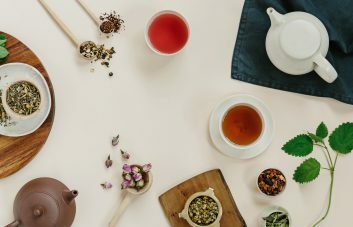 Staying inspired and taking care of yourself physically and emotionally is crucial if you want to run a creative business and manage a successful career. The concept of curating your life revolves around this and enables you to set the path to try and achieve the work/life balance you desire. Saying that, things happen that might throw your curated day off-course. It’s having confidence to roll with the punches when this happens. You can’t squirrel yourself away from the rest of the world and external factors out of your control. My advice would be to put a pin in it and come back to it later if you do get thrown off. If one thing was your priority but then something else has to become your priority, don’t try to do both at the same time as you run risk of everything becoming a whirlwind – pick one thing and concentrate on that. Find SMUG on Islington’s Camden Passage. What do you think makes your shop SMUG unique? 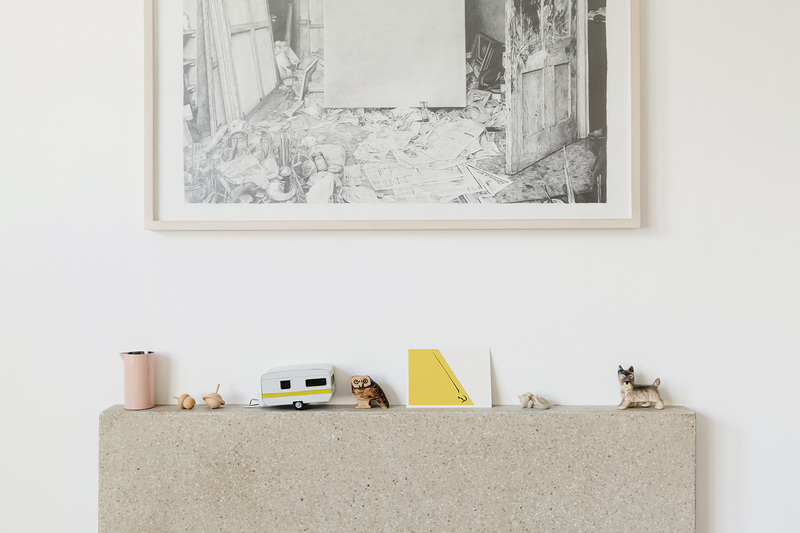 SMUG is purposely curated so that it looks like a home, not a shop. 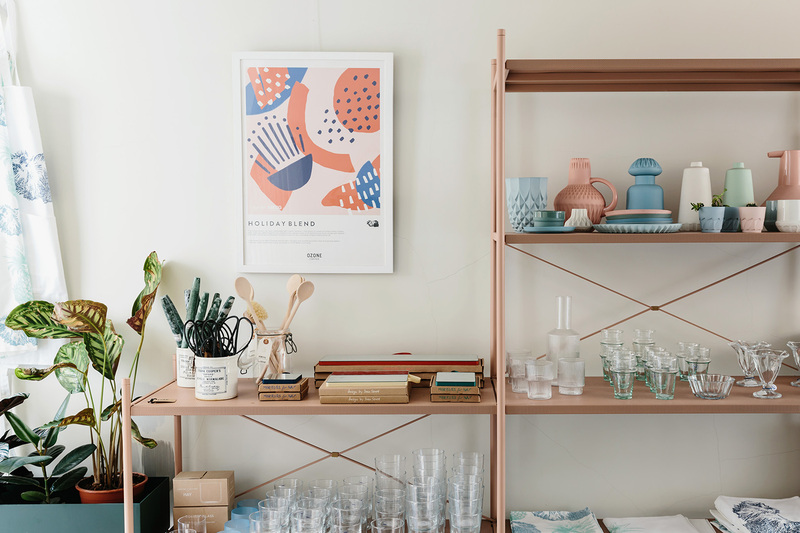 We’re spread out over three floors, selling stationery, homewares, plants, pots and more. We’re known for our use of colour; the pastel palette we’ve become famous for is simply what I love. Designing our own range of SMUG products is the most unique thing we’re doing. Creatively it’s the most challenging part of what I do, but it’s definitely what I’m most proud of. It’s a project that requires total commitment and dedication which can be hard and feel a little self indulgent but seeing the finished product definitely makes it worthwhile. The greenhouse pattern is the most popular and flies off the shop floor whenever we restock it. 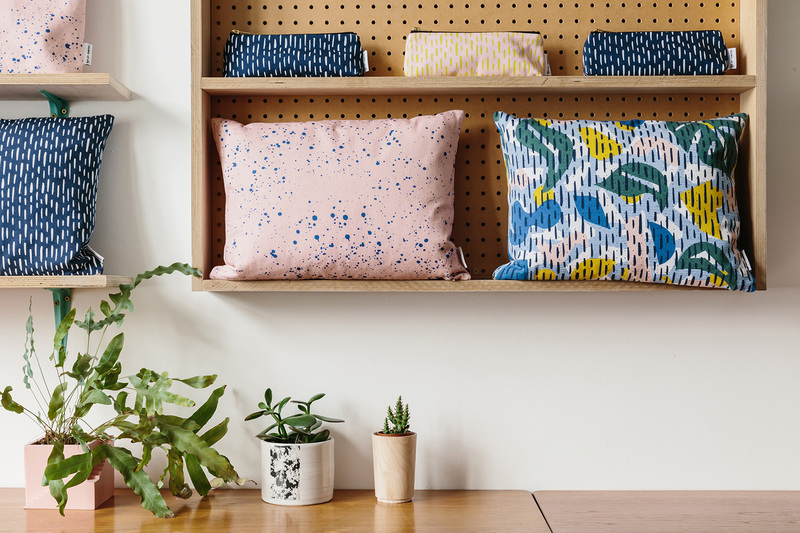 Spot Lizzie’s bestselling greenhouse pattern cushion on the right. 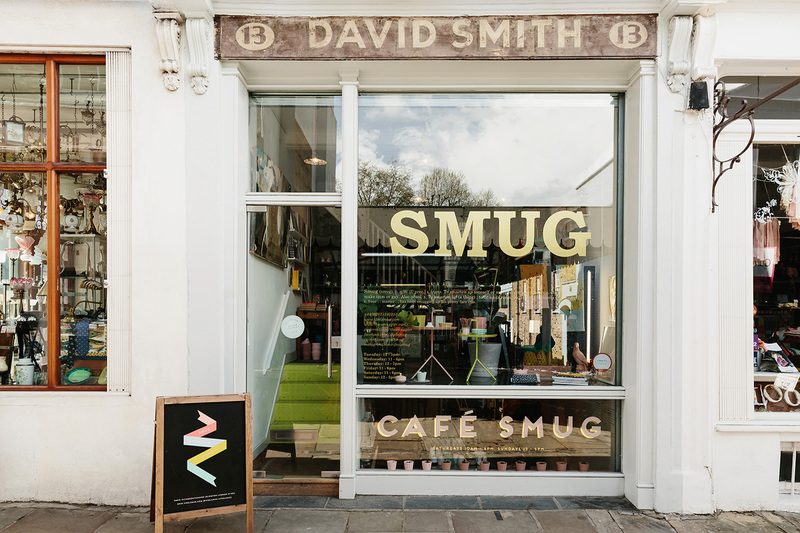 How did you come up with the name SMUG for your shop? The name comes from the old English definition of the word, which means to smarten yourself up or smarten up a room. 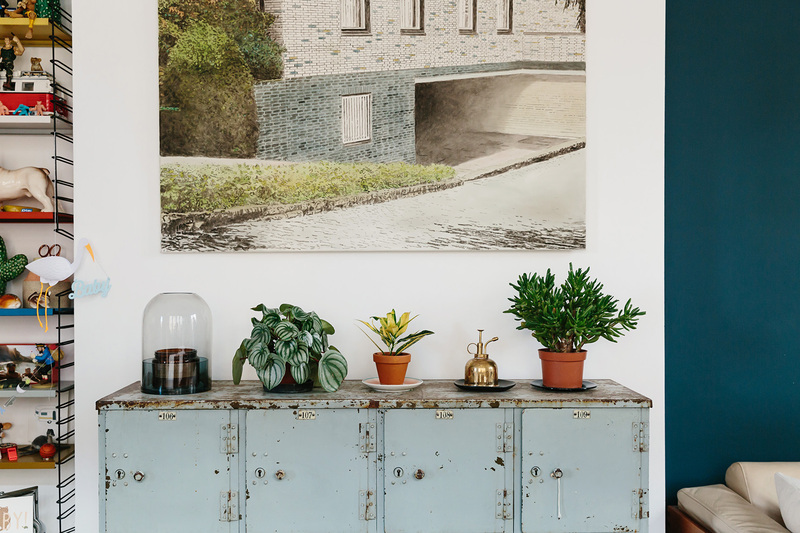 In recent years smug has come to have the meaning of being a bit pleased with yourself but originally it meant to take pride in your appearance and your home – essentially styling and interior design. I thought that it worked perfectly with what I wanted the store to be about and I also liked the fact that it was short and memorable. The dreamy pastel colour palette that SMUG has become known. 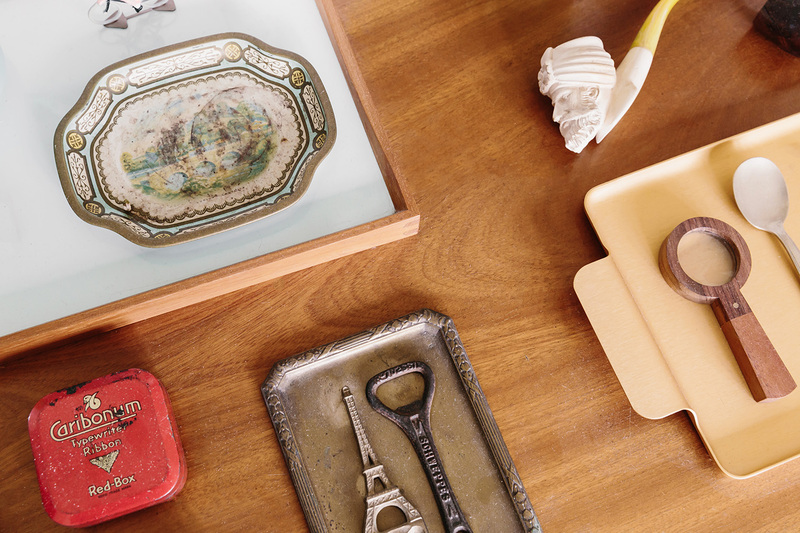 Alongside running SMUG, you also host your podcast called How to Curate your Life. Tell us about the podcast and what we can expect from season 2. The podcast celebrates the creativity and entrepreneurial endeavours of inspiring individuals. 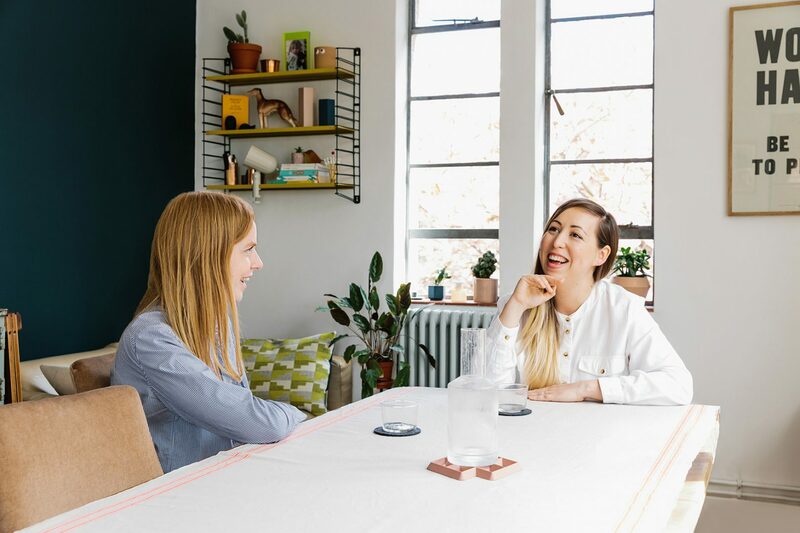 We get down into the nitty gritty of how people ‘Curate Their Lives’ with different guests each week like author and broadcaster, Emma Gannon and textile designer Donna Wilson. We talk productivity, creativity, health (both mental and physical), self-promotion, mindfulness, priorities and much more, all with a view to help listeners develop a better work/life balance. 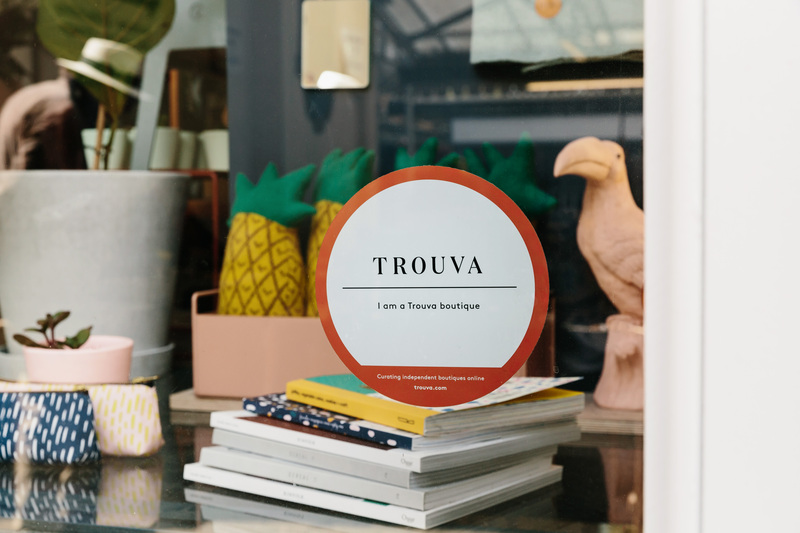 Discover and shop SMUG on Trouva. Been a fan of SMUG for ages, wonderful to hear about their podcast, new subscriber coming! ❤️ I love to make a deal out of every meal, makes such a difference when you pause and enjoy. Also wow. What a stunning home, but I wouldn’t expect anything less. Lizzies home is beautiful – no surprises there! Her shop is wonderful – I always enjoy my visits & am continually inspired by what she has built. Love the sound of the podcast – looking forward to listening!